Over at Jewcy, the repulsive David Klinghoffer offers up a defense of intelligent design, in response to Neal Pollack. Jason Rosenhouse has taken time out from his forthcoming book on the Monty Hall problem to pen this response. As usual, it's incisive and worth reading. But there's one point that Rosenhouse didn't address. Klinghoffer claims, "No Darwin critic that I know differs from established scientific conclusions about the age of the earth or of the universe since the moment of the Big Bang." David Klinghoffer, meet your co-worker, Paul Nelson. 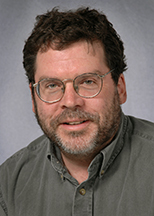 Paul Nelson is a fellow at the Discovery Institute's Center for Renewal of Science and Culture. You know, the same place where Klinghoffer is Senior Fellow? Nelson is also a young-earth creationist; that is, he denies the scientific evidence for the age of the earth and the age of the universe, and instead claims the earth and universe are less than 10,000 years old. Of course, he doesn't do so because of the scientific evidence; he does so because his narrow, fundamentalist interpretation of the Bible tells him it must be so. I suppose Klinghoffer can plead ignorance of Nelson's position. But it's hardly unknown. Nelson even contributed to a book entitled Three Views on Creation and Evolution, where he advocated the young-earth creationist point of view. Remember when the Discovery Institute claimed "Faith healers and Holocaust deniers are not on the faculties of reputable universities. Scientists who support intelligent design are."? When that was shown to be a lie, did the Discovery Institute issue a retraction? Of course not: if they had to spend time retracting their lies, they wouldn't have the time to issue all those misleading and dishonest press releases. There's a reason why the DI is called the Dishonesty Institute. I suggest that this distancing from Young Earth Creationism be made widely known among the political base of support for ID. I recall that some polls in the USA indicate that a substantial number (what was it, 40%?) of people think that "man" was created in his present form within the last 10,000 years. Obviously, they shouldn't be backing ID. Talk.Origins has had transcripts from the Kansas Evolution Hearings posted for over two years now. Pedro Irigonegaray cross examined the "expert" witnesses, and a great number of them expressed belief in a young Earth. For example, John Sanford believes that the earth is between 5000 and 100000 thousand years old. Nelson appears to have contributed to a long document on the Cambrian explosion and how it happened too fast to be explained either by a gradualistic macroevolutionary model or a puncuated equilibrium model. Intense cognitive dissonance must be at work if he wants the Cambrian explosion as a data point yet thinks the Earth began just up the family tree of begats in the OT? Of course Sal Cordova is another notorious young-earther, one who isn't nearly as quiet about it as Paul Nelson is. Not that Klinghoffer would be likely to know that, but clearly he writes of matters for which he lacks sufficient knowledge to produce competent commentary. Do you think Jewcy was wrong to give Klinghoffer a platform to spout the Discovery Institute's line? Where, if anywhere, should these views be represented? Jeffrey: were you aware that your face appears in the Nova on the Dover case? Have you read my chapter on YEC in the Three Views volume? Yup, I appear for a grand total of 2 seconds in the NOVA documentary. As you may know, I was asked to be an expert witness to rebut William Dembski. However, Dembski dropped out of the case, so I was not needed to testify in rebuttal. Yes, I've read your chapter. And I congratulate you on it: it is a comic masterpiece. So, where do you fall on the pressing issue of our times: is Klinghoffer a liar, or is he just ignorant? Personally, I'm leaning towards both. Where in the chapter do I say that the universe and Earth are less than 10,000 years old? It's considered polite for you to answer my question first, before posing your own. But you didn't. How old do you think the universe and the earth are? No evasions, now, tell us your view. Was that a serious question, about David Klinghoffer? Looked like a joke in the form of an interrogative. I'd say David didn't know my position. On the assumptions used by standard geological dating, the Earth is 4.6 billion years old. The universe (using standard cosmological assumptions) is 13 billion something. I accept these dates provisionally for nearly all of the scientific thinking I do; I don't accept them when theological considerations enter the picture, for reasons explained in the Three Views chapter. In the latter case, however, I would not say <10,000 years old. So, to my question: where in the Three Views chapter do I say that the universe and earth are <10,000 years old? But you haven't answered my question yet! WHAT IS YOUR OPINION OF THE AGE OF THE EARTH? You say it is not less than 10,000 years old, so WHAT IS IT? And why are you being evasive? The theological considerations in the Nelson/Reynolds chapter concern the overall sequential order and scope of Biblical events (creation, fall, flood, etc.). But we offer no specific age for the Earth, or cosmos, as the passage cited above indicates; that continues to be my view today. The best I can do, when theology is added to the picture, is an interval: 10,000 < Earth < 4.6 billion years. So, if you read the Three Views chapter, where did you find the <10,000 year age? What SINGLE FIGURE best represents your view of the age of the earth? As for your essay, it is entitled "Young Earth Creationism". In the very first line you say, "We hold the view of recent or so-called young earth creation." (emphasis in original). Now everyone understands "young-earth creationism" to mean a belief in an earth and universe that is < 10,000 years old. That is the view, for example, of young-earth creationists such as Henry Morris and Duane Gish. If you want to be understood, it doesn't help to redefine terms in such a way that they mean something different from common usage. Furthermore, you describe a young earth as "intellectually interesting" and that it has "increased in sophistication and rigor". You say you "see no reason for traditional Christians to give up on an idea [that is, a young earth] that intrigues them" (interpolation mine). So even though you do not explicitly that you hold a belief in a <10,000-year-old earth, any reasonable person would conclude that you don't find this belief implausible and you have a lot of sympathy for it. Furthermore, in your first sentence, you say you hold a view of recent creationism (emphasis yours). And you have already admitted that you don't accept a 4.6-billion-year age because of theological considerations. My main point, that you reject the scientific view of the age of the earth (contrary to Klinghoffer's claim that no intelligent design advocates do so), still holds. I will gladly retract my claim about what you think the age of the earth is, if you give me a single figure that best represents your current view. "Unlike most of the other ID theorists, Nelson espoused young-earth creationism, though he left the meaning of 'young' somewhat vague." Vague, weasely -- the choice of adjectives is yours. But the next time you write about my YEC position, please don't attach a number (specific age) to it. I can't do that myself, because I don't know. Any date one attaches is that person's conjecture, and not my actual view. BTW, the very next sentence in the Nelson/Reynolds chapter, after the one you quoted, explains that neither "young" nor "recent" is satisfactory as a descriptive adjective. Paul, if you send me your phone number by e-mail, we can talk directly so that I can correct my posting to accurately reflect your view. When did the first carnivore appear? Was is coincident with the time of the first humans or did predation and disease arise long before the fall of Adam?